Miles Morales, the second Spider-Man who takes on the mantle after Peter Parker in the comics, seems to be one of the Marvel heroes fans most want to see make the jump to live-action next. Though the character is about to star in his own theatrically released animated movie next year, the dream is still for him to turn up in the Marvel Cinematic Universe at some point. The idea of Peter growing as a character to the point where he could mentor another Spider-Man does sound awesome, but it would have to be a few films down the line in order for the arc to work. In that case, we shouldn’t expect to see Miles turn up in the MCU any time soon. Thankfully, though, it sounds like Holland will keep pushing for the character to be included at some point. It’s not like Marvel are wanting for people to play the part, either. Back in the day, Donald Glover campaigned to get the role before he was cast in Spider-Man: Homecoming as a different character. More recently, Power Rangers star RJ Cyler called Miles his “dream role.” Regardless of who ends up playing Morales, should he ever enter the MCU, that is, we’ve no doubt that he’ll be a great inclusion into Marvel’s ever-growing franchise and we’re hopeful that this eventually comes to fruition. 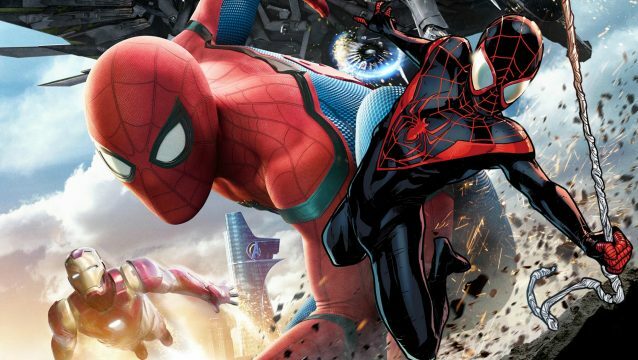 Spider-Man: Homecoming arrives in cinemas on July 7th, while Miles Morales’ animated movie lands on December 14th, 2018.